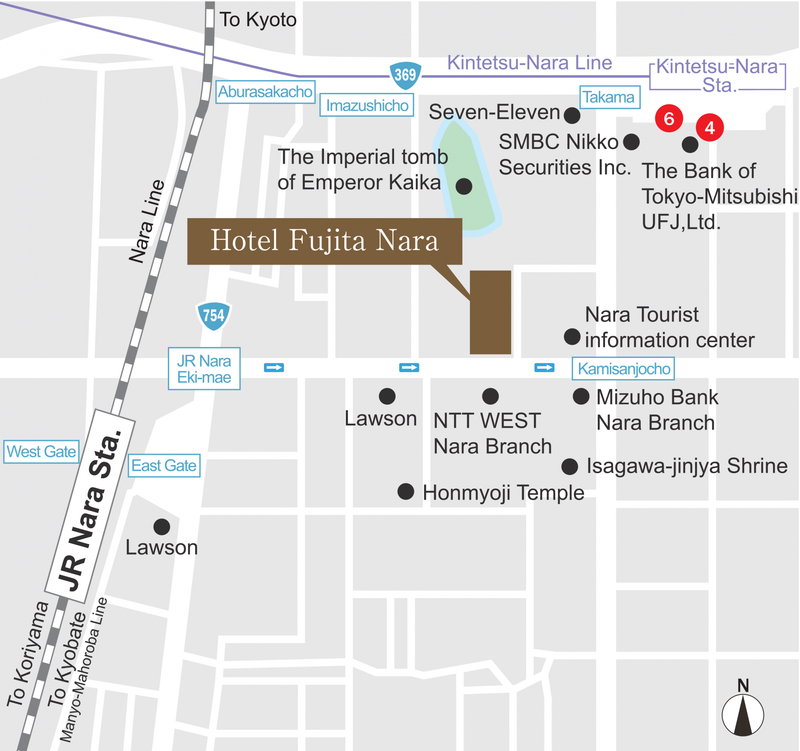 Only 5 minutes walk from JR Nara Station and Kintetsu Nara Station, you’ll find that there are amazing sightseeing spots right in the hotel’s backyard. Examples include Nara-koen Park and Todai-ji Temple. There is much to see in this ancient capital of Japan.